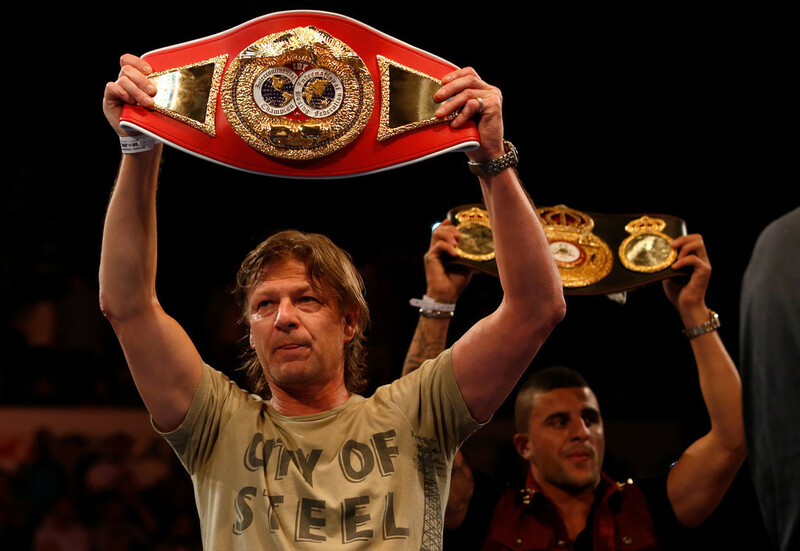 Sheffield actor Sean Bean will carry Kell Brook’s IBF international belt to the ring on Saturday night as the hometown fighter takes on Carson Jones in an official World title eliminator. Brook and Jones headline the bumper Betfair ‘Edge of Glory’ bill with five title bouts and a host of hot young British talent in action, with Sky Sports 1HD live from 8pm. Bean rose to fame with his performance in the TV series Sharpe which led to the 53 year-old landing roles in Hollywood hits Patriot Games, James Bond’s GoldenEye, opposite Robert de Niro in Ronin and Lord of the Rings trilogy. Click pictures for full size! Born and bred in Handsworth, Bean even starred as a striker for his beloved Sheffield United in When Saturday Comes, and this Saturday he’ll be leading the line for Brook as he takes on his biggest test so far. Welshmen Gavin Rees and Kerry Hope defend their European belts against Derry Mathews and Greg Proksa, Lee Purdy defending his English welterweight title against Chris Johnson and Ryan Aston challenging Curtis Valentine for the Midlands Area middleweight title. Team GB star Kal Yafai makes his professional debut while former teammate Scotty Cardle continues his progress in the pro ranks, and there’s a first outing under new promoter Eddie Hearn for Liverpool’s popular super middleweight Rocky Fielding. The actor Sean Bean has been inducted into the walk of fame of his home town of Sheffield. The city's Lord Mayor called the 50-year-old, famous for his roles in Sharpe and Lord of the Rings, a "true ambassador for Sheffield". A bronze plaque in the pavement outside the Town Hall was unveiled in a ceremony earlier. Mr Bean said the award meant a lot to him as he had been nominated by the residents of the city. "I'd like to say thank you to the people of Sheffield for choosing me for it, it really does mean a lot to me." Mr Bean said he planned to go to Bramhall Lane after the ceremony to watch Sheffield United play Middlesborough. The actor was born in Handsworth area of Sheffield and attended Brook Comprehensive School before doing a welding course at Rotherham College of Arts and Technology. He went on to star in the television series Sharpe, before making a name in Hollywood with films such as GoldenEye, Patriot Games and the Lord of the Rings trilogy. Sheffield's Lord Mayor, Graham Oxley, said: "Sean has been a true ambassador for Sheffield and a lifelong supporter of the Blades. "I am very proud to welcome Sean into the city's walk of fame as a great Sheffield legend." Other stars to feature on the walk of fame include Pulp frontman Jarvis Cocker, Olympian Sebastian Coe and rock band Def Leppard. Sheffield is to honour one of this country’s most popular stage and film actors next weekend. 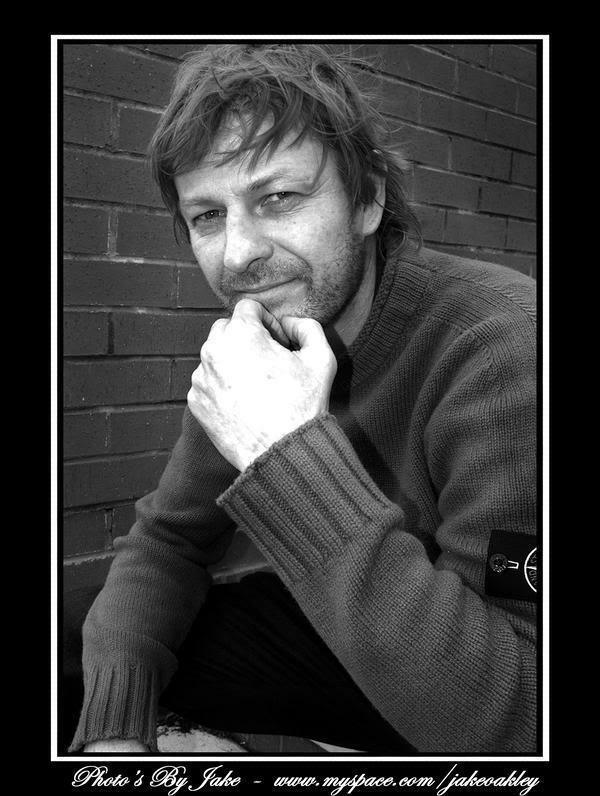 Local hero, Sean Bean is to be inducted into the city’s prestigious ‘walk of fame’ on Saturday (16 January) at 12.30pm. 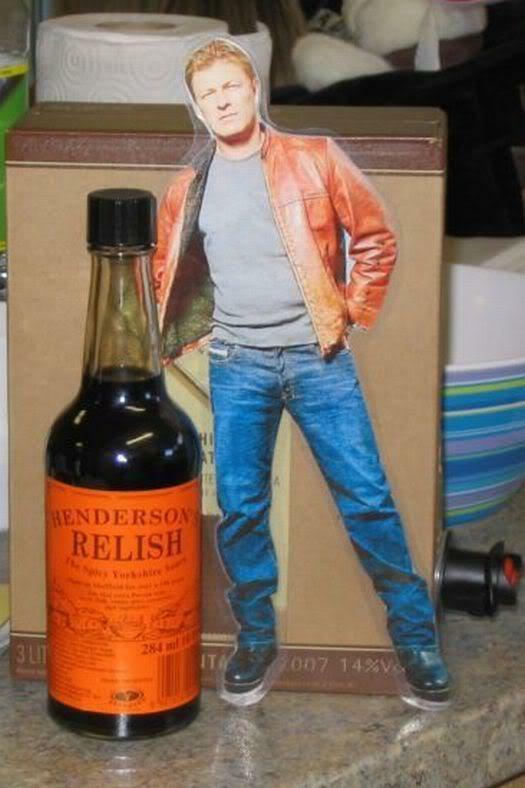 Sean will formally become a Sheffield Legend and join internationally-renown celebrities including Michael Palin, Seb Coe, Gordon Banks, Joe Cocker, Michael Vaughan and Def Leppard, who were all either born in or had strong associations with the city. 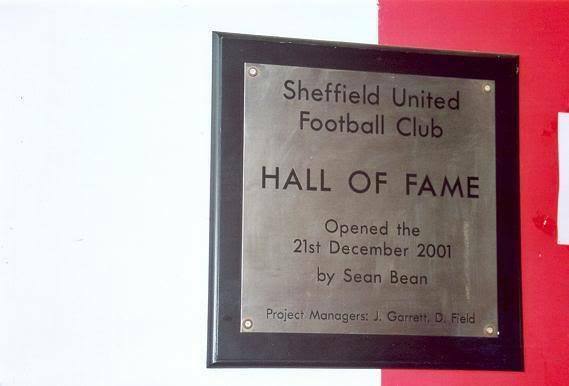 Sean was born in the Handsworth area of Sheffield, the son of Rita and Brian Bean, in April 1959. His first successful role was his portrayal of Richard Sharpe in the British television series ‘Sharpe’. Since then he has become well known internationally for his roles as Boromir in ‘The Lord of the Rings’, James Bond's adversary Alec Trevelyan in ‘GoldenEye’, Nicolas Cage's competitor Ian Howe in ‘National Treasure’, psychotic IRA fringe terrorist Sean Miller out for revenge on Jack Ryan in ‘Patriot Games’, Captain Rich in ‘Flightplan’ with Jodie Foster, Odysseus in ‘Troy’ and Chris DeSilva in ‘Silent Hill’. The induction ceremony is due to take place at 12.30pm on Saturday 16 January outside the main entrance of the Town Hall in Pinstone Street. Jake is a Sheffield photographer and he made this lovely picture of Sean for the Replay magazine. He kindly gave me permission to display the picture here. Obviously, the city that means so much to Sean has its own page here, The information on it is written by my dear friend Jeanne, who's a Yorkshire lass herself. Thanks Jeanne ! 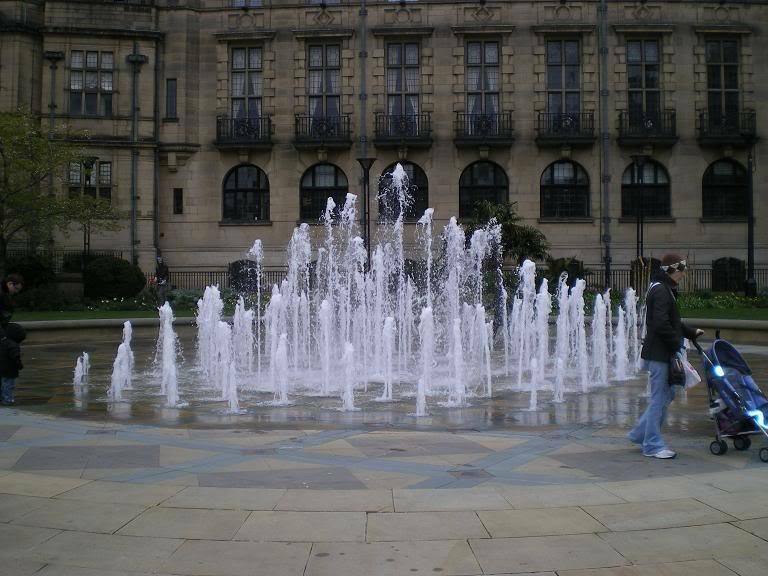 Jeanne, who lives in London, but originates from Yorkshire, went on a trip up north, and visited Sheffield. She made some very nice pictures, click thumbs for full size. 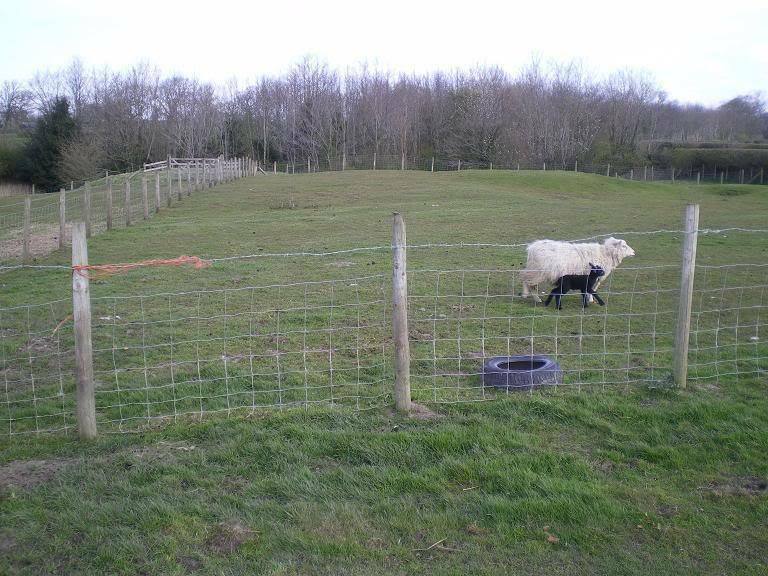 On Sean's birthday, she visited a friend in Lancashire, and just half an hour before they arrived this little lamb was born. They called him "Sean". Isn't he cute ? ?The seven hills of Sheffield, carved by the six rivers that powered the wheels that ground the steel that made Sheffield famous.? 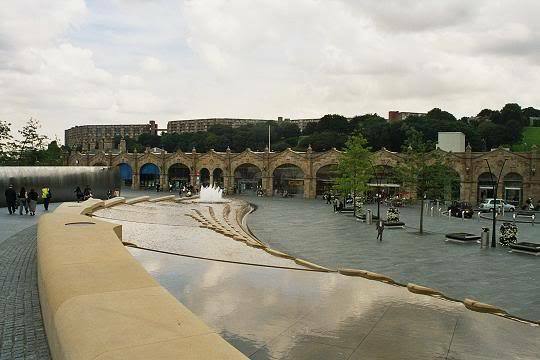 Sheffield is a city with a proud industrial heritage, situated in South Yorkshire, in the centre of the North of England. 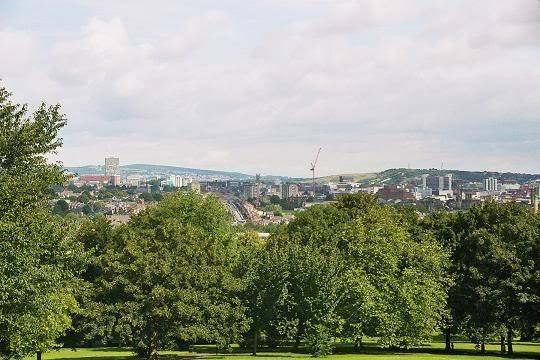 In spite of its industrial past and an estimated population of more than half a million people, Sheffield is the greenest city in England, with a wealth of gardens, parks and woodland. It is a lively and cosmopolitan city, rich in theatres, galleries, live music and entertainment venues. It has an impressive programme of cultural festivals and sporting events, with many diverse sporting venues. The city centre has been changed and regenerated by the ¿130 million Heart of the City project, which saw the Peace Gardens renovated in 1998 and the Millennium Galleries and Winter Gardens created in 2001 and 2003. Sheffield can trace its history back to the founding of a settlement in a clearing beside the River Sheafe in the second half of the first millennium AD. 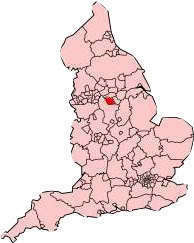 The area had seen human occupation since at least the last ice age, but the settlements which grew to form the current city were of Anglo Saxon and Danish origin. After the Norman Conquest, Sheffield Castle was built to control the Saxon settlements and Sheffield developed into a small town. The Domesday Book of 1086 contains the earliest known reference to the districts around Sheffield as the ?Manor of Hallun?, now Hallam. 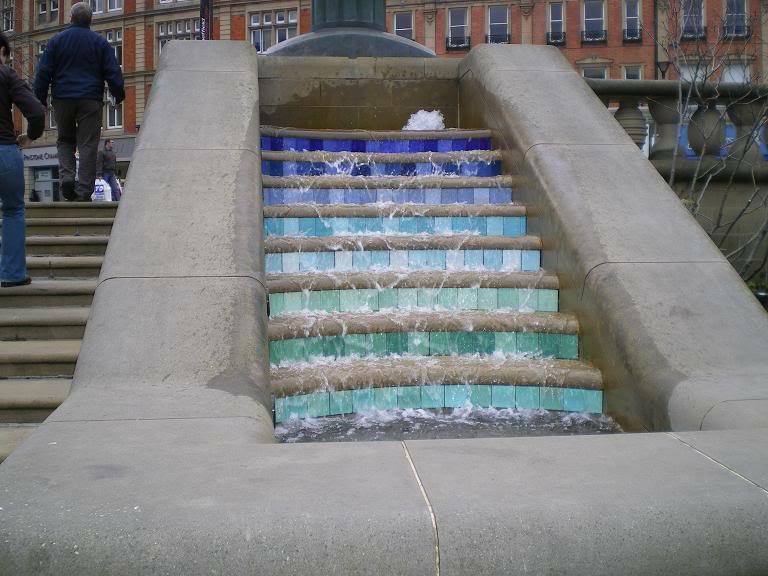 Sheffield?s situation amongst fast flowing rivers and streams, with the surrounding hills containing coal and iron ore, made it an ideal place for its industries to develop. By the 14th century, Sheffield was already noted for the production of knives, as mentioned by Chaucer in the Canterbury Tales and by 1600, it was the main centre of cutlery production in England. In1624, The Company of Cutlers in Hallamshire was formed to oversee the trade. In the 1740s, a clock maker named Benjamin Huntsman invented a form of the crucible steel process for making a better quality of steel than had previously been available. 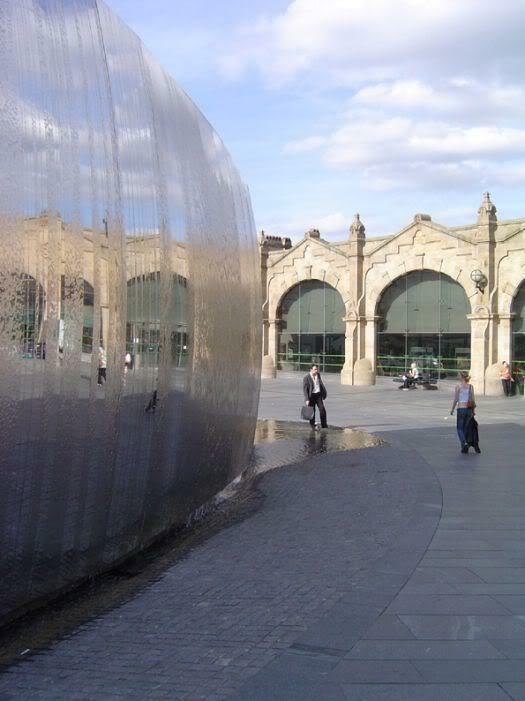 Around the same time a form of silver plating, which became known as Sheffield Plate, was developed and these innovations spurred Sheffield?s growth and prosperity. 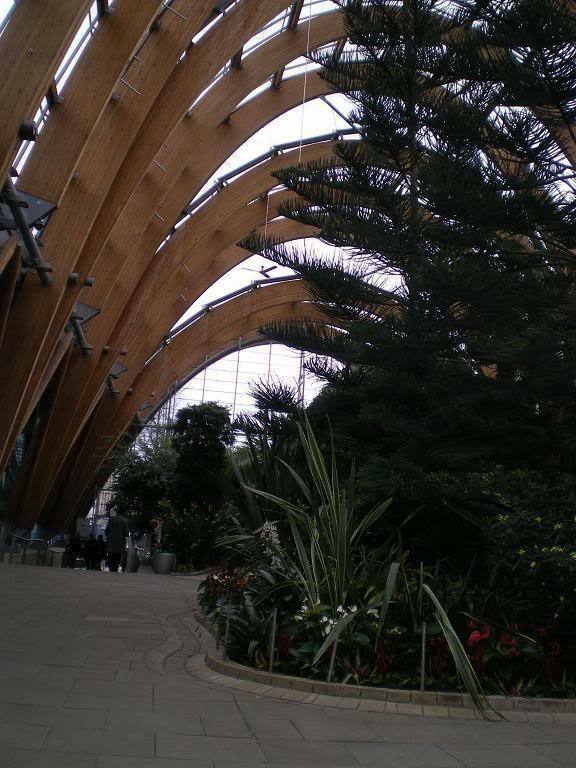 There was a recession in the late 18th and early 19th centuries, but the Industrial Revolution saw Sheffield revive and its population grew so that by 1900, it numbered 400, 000. 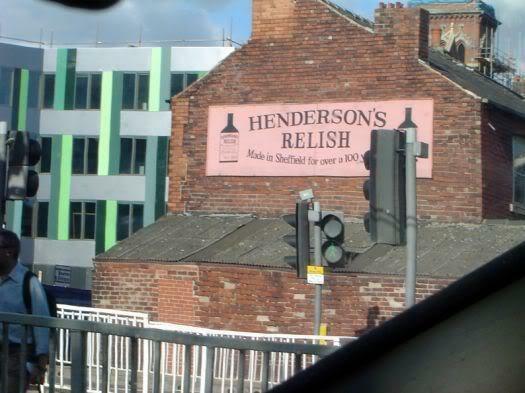 Sheffield became a Borough in 1843 and a City by Royal Charter in 1893, by which time it had achieved a worldwide reputation for the production of cutlery. There was a recession in the 1930s, halted by World War II, when the steel factories were set to work making weapons and ammunition for the war. Sheffield became a target for bombing raids, which resulted in the damage and destruction of many buildings and the loss of many lives. Following the war, throughout the 1950s and 1960s, large parts of the city centre were cleared , including many slum dwellings. New buildings, housing schemes and roads were built. However, increased automation and competition from abroad saw Sheffield?s industries begin to decline and many steel mills closed. In the 1980s this decline in manufacturing industries, reflected elsewhere in industrial areas of the UK, accelerated, culminating in the Miners? Strike of 1984/5. In 1990, the vast Meadowhall shopping complex was built on the site of a former steelworks, creating jobs, but leaving the city centre still in need of regeneration. The Heart of the City project, begun in 1995 has changed the city centre almost beyond recognition, giving it a new lease of life. Pride in the city has been renewed and the future looks as bright and shiny as Sheffield steel. Sheffield has a vibrant entertainment and cultural scene. Tudor Square is the largest theatre complex outside London. It has two major theatres, the Lyceum Theatre and the crucible Theatre, as well as a smaller Studio Theatre. Other theatres in Sheffield include the Montgomery, Lantern and Merlin Theatres. 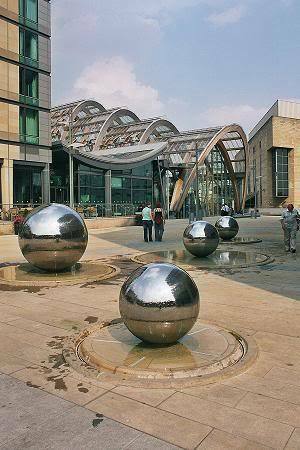 There are four major art galleries in Sheffield, the Millennium Galleries, Graves Art Gallery, the Site Gallery and the Mappin Gallery. The city also has several museums, including the Sheffield City Museum, the Kelham Island Museum, the Sheffield Fire and Police Museum, Abbeydale Industrial Hamlet and Shepherd Wheel. 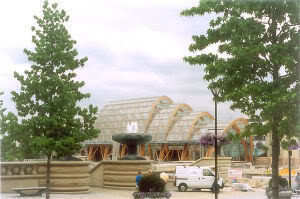 Sheffield is unusual for a city of its size in having no resident professional orchestra, but there are a number of amateur local orchestras including the Hallam Sinfonia, Sheffield Symphony Orchestra, the Sheffield Chamber Orchestra, the Sheffield Philharmonic Orchestra and the City of Sheffield Youth orchestra. There are also many choirs.. The Sheffield Music Academy is an organisation for development of young musical talent across the region.Sheffield Music School provides chamber music coaching to sixty young musicians from across the city. 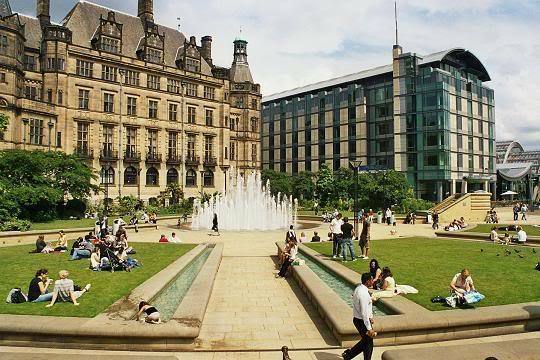 Sheffield has been the home of several well known bands and musicians, including the Human league, Def Leppard, Heaven 17, the Thompson Twins and Pulp. The immensely successful Arctic Monkeys are currently Sheffield's biggest musical export. 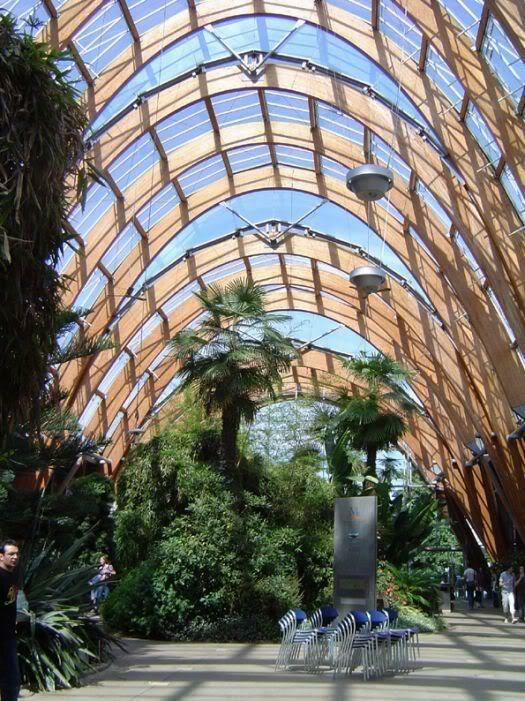 The city also has a number of garden attractions such as the Sheffield Winter Gardens, the Peace gardens and the Botanical Gardens. 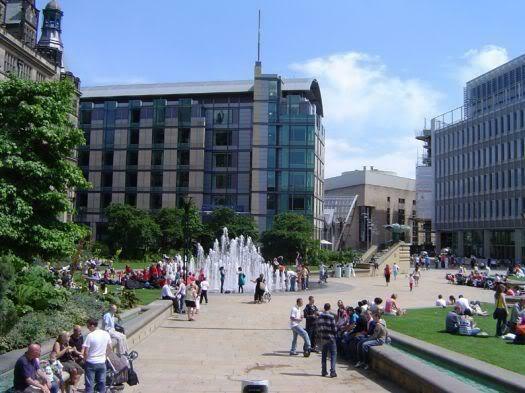 Sheffield has two universities, the University of Sheffield and Sheffield Hallam University, which combined, bring 45,000 students to the city every year.As a result of its large student population, Sheffield has many bars, cafes, clubs and shops as well as student housing to accommodate them. 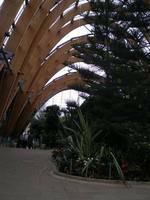 The University of Sheffield is stretched over a large area to the west of the city centre. 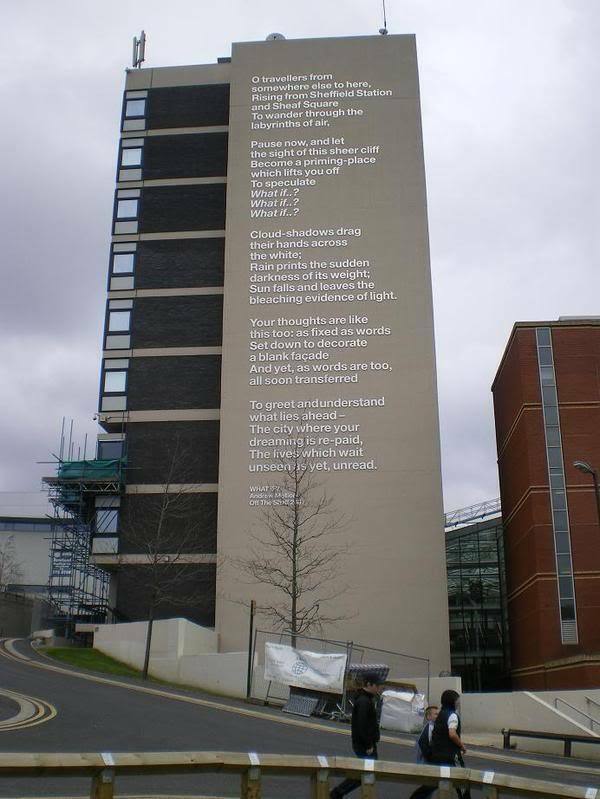 It owns the Arts Tower, which is currently the tallest building in Sheffield and the tallest university building in the UK. Sheffield Hallam University is based on a large campus in the city centre. Both universities have extensive links with local industry and the English Institute for Sport. 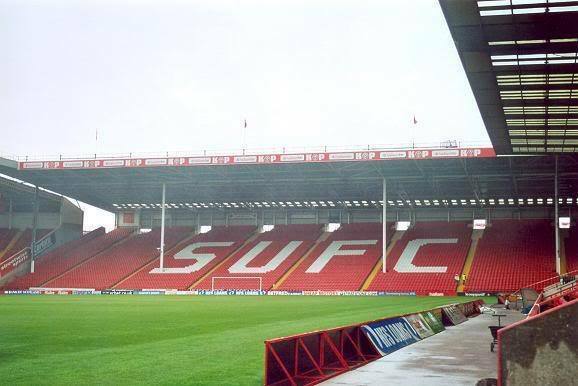 Sheffield has a long sporting heritage, with two local clubs in the Football League : Sheffield United (known as the Blades) and Sheffield Wednesday.There are also two major non-league sides, Sheffield F.C. and Hallam F.C, which are the two oldest club sides in the world. Hallam FC play at the world?s oldest football ground near the suburb of Crosspool. 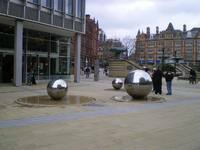 Sheffield has close ties with snooker,due to the fact that the city's Crucible Theatre is the venue for the World Snooker Championships. The English Squash Open is also held there every year. The International Open Bowls tournament is held in Sheffield at Ponds Forge. 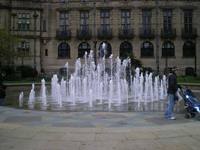 The city has a two rugby teams, Sheffield Eagles Rugby League and Sheffield Tigers Rugby Union. There is a basketball team, Sheffield Sharks, the Sheffield Steelers ice hockey team and the Sheffield Tigers Speedway team. 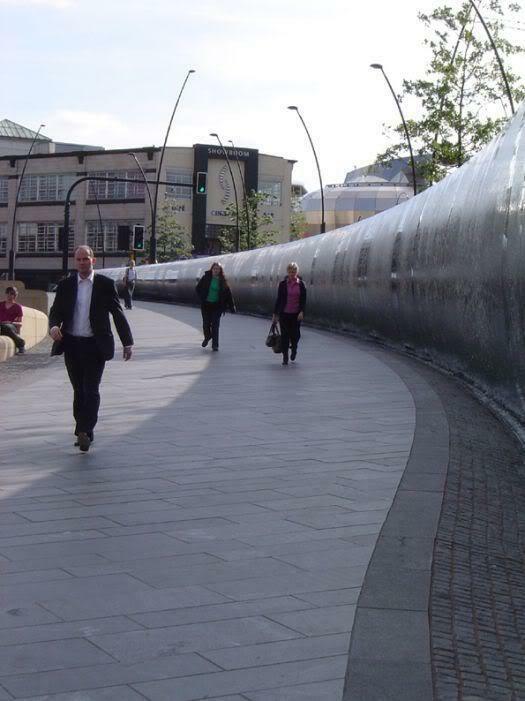 In 2005, residents of Sheffield were invited to nominate people who have brought the city recognition at national or international level for a new 'Hall of Fame' in the city centre. Ten legends have been chosen so far to receive special plaques set into the pavement outside the Town Hall. Only one new legend is now chosen per year. 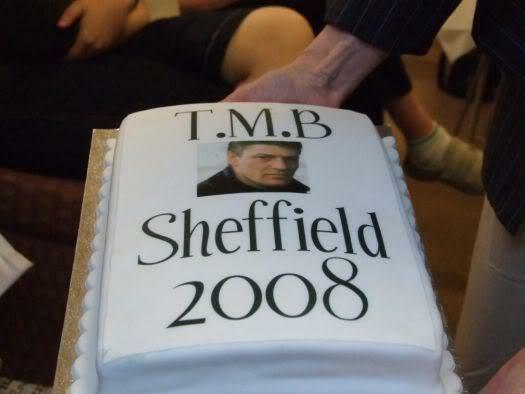 12 of the TMB forum members and I had a 5 day meeting in Sheffield. We had a wonderful time, and took a lot of pictures ! Of course I brought Flat Beanie, our mascotte ! Here are a few of the pictures. 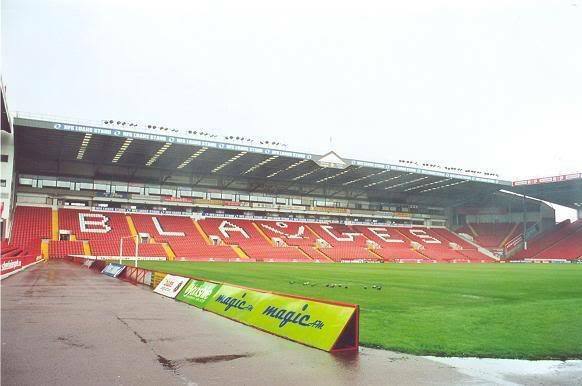 We visited Bramall :ane too of course, pictures of that on SUFC page. 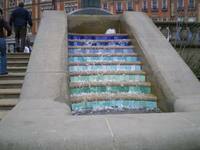 SeansRose has made several trips to Sheffield. She allowed me graciously to display some of her pictures and text here.Thanks for that ! 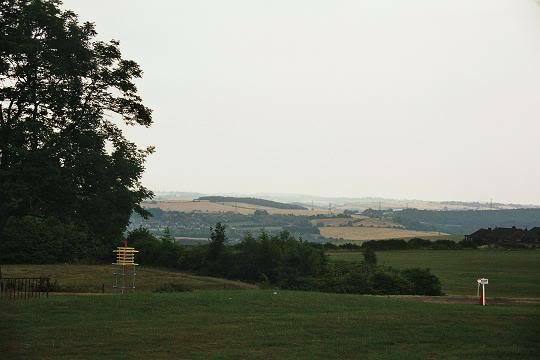 Here you see Sheffield from Meersbrook Park . The "Heart of the City" is a mixture between old architecture and modern arcitecture. 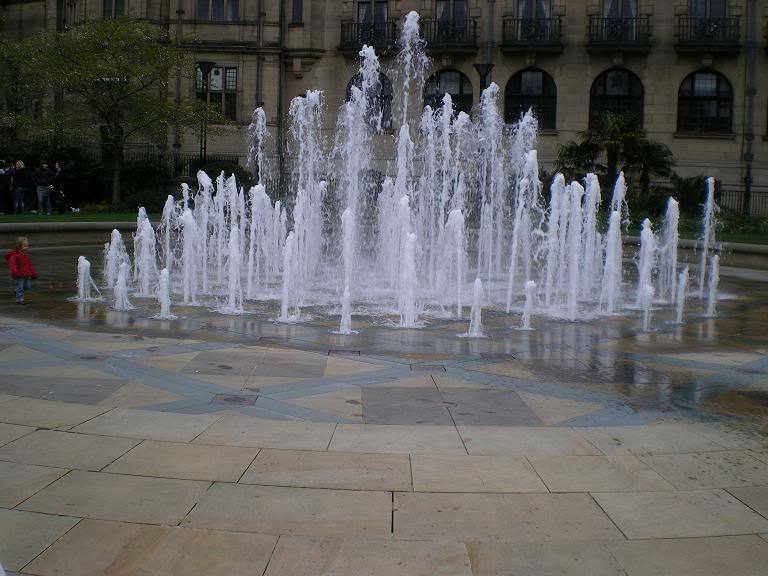 The railway station is an old victorian building but Sheaf Square in front of it is a very modern place dominated by a beautiful fountain. 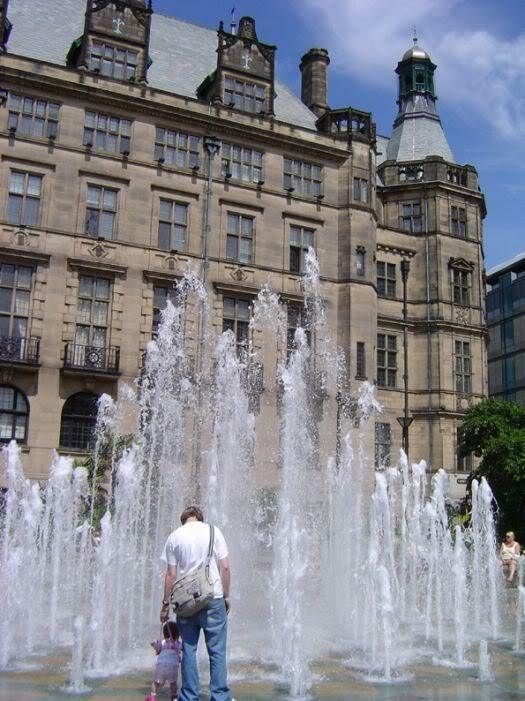 This is the victorian Town Hall and next to it is the Millenium Square or Peace Gardens (for me the most beautiful place in Sheffield). 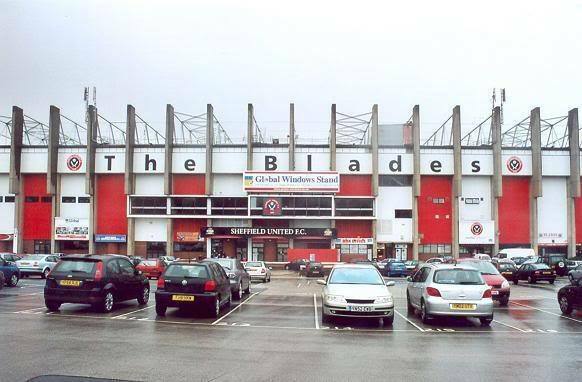 I was very impressed when I stood in front of the stadium on Bramall Lane. A gate was open and I slipped in and took some pics (when Sean´s granddad died his ashes were scattered on the pitch). Meanwhile the stands are extended by a second level. Athelstan Junior School in Handsworth- here Sean learned his ABC. 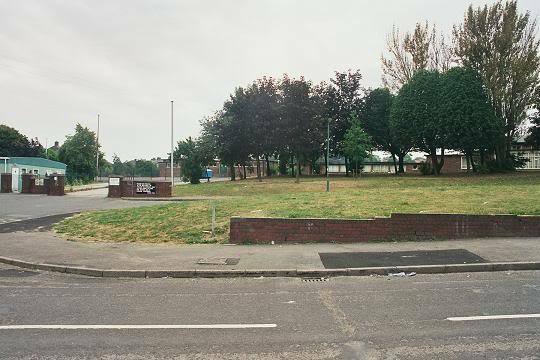 Handsworth Recreation Ground - called "The Rec" Sean´s old stomping ground. 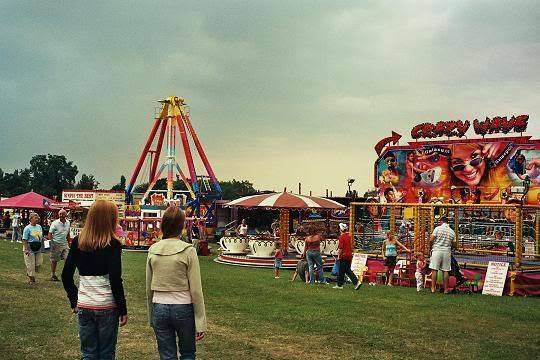 Each year in summer there is a little fair on The Rec. A Fun Day for the whole family . 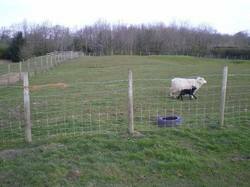 Another picture of The Rec, here you can see how rural it is here. 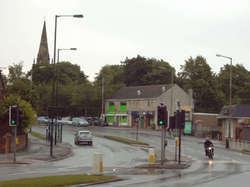 Sean once said that Sheffield, and especially Handsworth is like a village and he's right. Some significant pictures from Sheffield. The old Granville college. 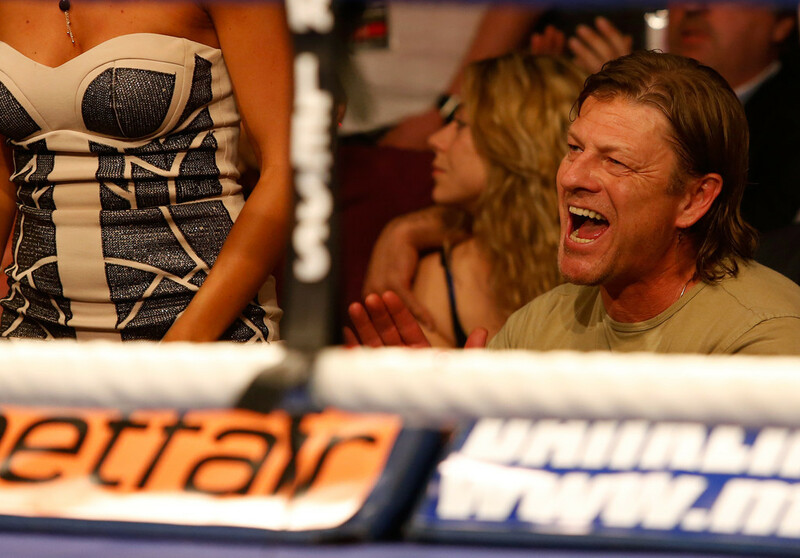 This is where Sean Bean went before he did drama at Rotherham. 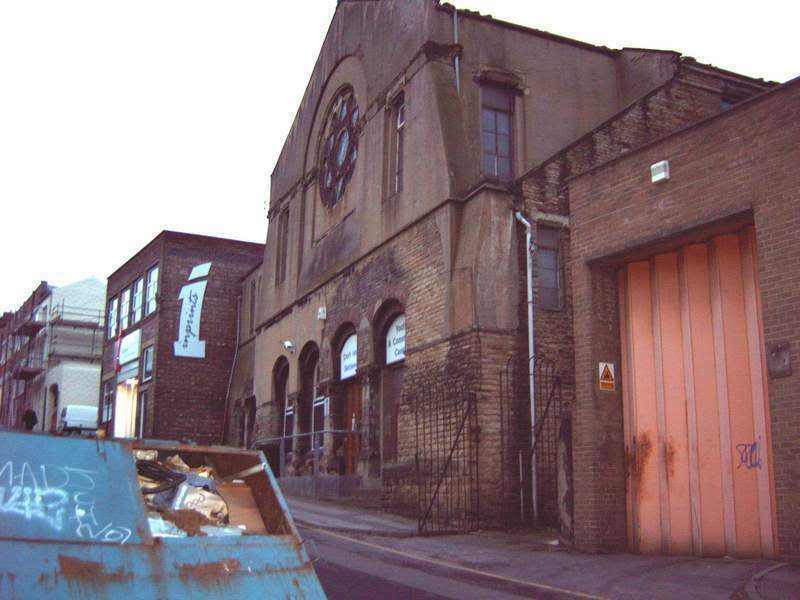 Along with the Psalter Lane Art College, this was the place where all young Sheffielders with pretensions towards the arts would go and try their hand at something. 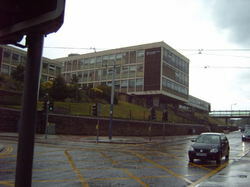 It's now the administrative HQ of the Sheffield College. 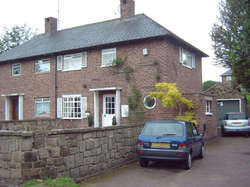 Croft Hall, where Sean learned to box. 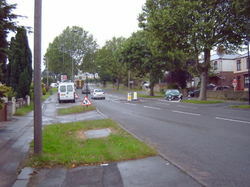 Handsworth, the area where Sean was born. Retford Road where Sean lived as a child. This is the house where Sean was brought up.